When my son started to read independently I breathed a sigh of relief. There had been a time when I wondered if he would ever pick up a book voluntarily and read it. It seemed that he had finally cleared a major hurdle in his step to becoming a successful reader. So what should we focus on now? When listening to him read aloud a part of his current book, the answer became clear. We needed to work on his reading fluency. Read with expression. Divide the text into meaningful chunks, pause appropriately and know when to change emphasis and tone. As readers become more fluent and begin to recognise words automatically they can focus more attention on what the text actually means. They start to make connections between what they are reading and their background knowledge, and so begin to really understand the text. They also start to use other comprehension strategies, such as asking questions, visualising, inferring and summarising, to help deepen their understanding of what they are reading. Less fluent readers are so busy focusing on figuring out the words, they have little attention left for understanding the text. Although reading fluency doesn’t ensure comprehension, comprehension is difficult without fluency. Many beginner readers will sound out a word which they don't recognise. They attach sounds to letters or groups of letters in the word and then blend these sounds together to make the word. When the child sees this word repeatedly they start to recognise it with greater speed until finally they can automatically recognise the word effortlessly. 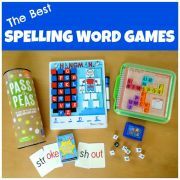 Fast, effortless word recognition is known as automaticity and it comes with a great deal of reading practice. Most readers develop automaticity for large numbers of words by the the time they are around 8 or 9 years old but the number of words we can process automatically continues to grow throughout our life. Automaticity is important because even if a child can read words with total accuracy, if those words are not read rapidly enough comprehension will be difficult. Children vary in the amount of practice they need for this automaticity to occur. Some need only read a word once to recognise it again with greater speed; others need 20 or more exposures. The average child needs between four and 14 exposures to automatise the recognition of a new word. So, to improve your child's reading fluency the first thing you need to do (surprise, surprise) is to encourage them to read, read and then read some more. Re-reading favourite books is to be encouraged, because this means that your child will get repeated exposures to the same words and so will come closer to automatising these words. Once your child is reading more accurately and quickly, you can start to help them to concentrate on reading with more expression. Danielle Mahoney summarises very well the different reading fluency strategies which readers need to use so that they don't sound like robots. You can also print out her fluency bookmark to help your child remember these strategies while they are reading. Use a storyteller's voice: When reading about the setting, character actions, problem or solution adopt a storytelling voice. Put words together like you're talking: Divide the text into phrases or chunks of two, three or four words and pause after each grouping. Change your voice to match the mood: Taking cues from the text, deduce the mood which the author is trying to convey and match your voice to this mood. Period/Full stop - stop reading. Comma - pause or slow down. Question mark - raise the tone of your voice. Exclamation mark - read with excitement. Bold print or italics - read louder. Change your voice to sound like the characters: Use clues from the text to understand how the character is speaking and feeling. Does the text indicate how the character says something (eg whispered, complained, demanded, argued) or what they are doing (eg roll their eyes) which might indicate their mood. Practice what different voices might sound like if spoken in this manner. 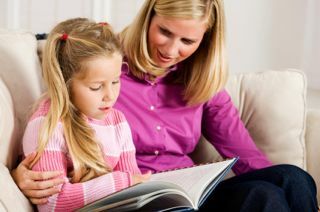 The most effective way to improve reading fluency is for your child to read and re-read the same text aloud to you while you give guidance and feedback. 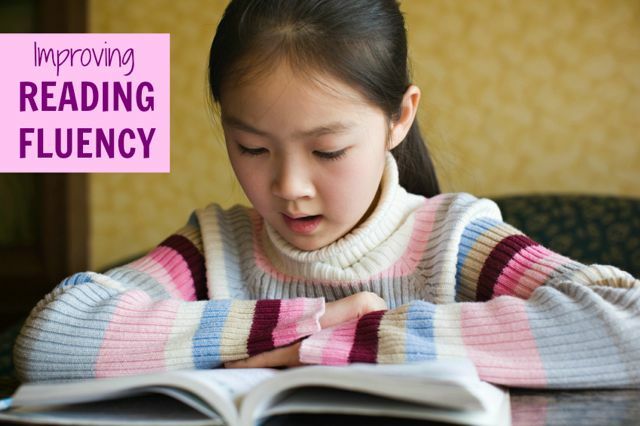 Make sure that the books or texts you use when practicing fluency are reasonably easy for your child so that they can recognise the words automatically. Consider using a favourite picture book or a favourite author such as Roald Dahl. 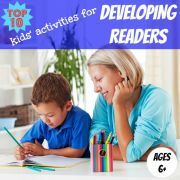 You should also provide your child with many opportunities to listen to good reading so that they get a good idea of what fluent reading sounds like and start to model their own reading on this. 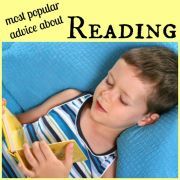 Read aloud frequently to your child and listen to audiobooks. I know from experience that if I just ask my child to read the same passage over and over he is not very inclined to cooperate. I might manage to get him to repeat it once, but two or three times? Not a chance. So below you will find some ideas for how you can make repeated readings a bit more fun. Use texts for your repeated readings which are short and fun. 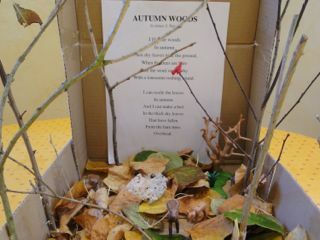 Poetry is a great choice for improving reading fluency, such as those found in these poetry books. Poems often use figurative language, such as similes, metaphors, alliteration and onomatopoeia, which create strong mental images in your child's mind therefore helping them to read more expressively. I am also a big fan of the You Read to Me, I’ll Read to You series of books, which contain a delightful collection of short stories designed for parents and children to read together. The text is in two columns and two colours, to clearly indicate how to break up the stories into the two parts. The two parts are of equal difficulty so can be read by either parent or child. The text uses an abundance of rhythm, rhyme, and repetition which makes them fun and engaging to read. There are five books in the series: Stories, Fairy Tales, Mother Goose Tales, Scary Tales and Fables. You can also find some excellent books to practice punctuation. Twenty-Odd Ducks shows brilliantly how reading punctuation marks correctly really makes a difference to the meaning of what you are reading. To practice the importance of reading commas correctly, try Eats, Shoots and Leaves . 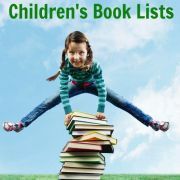 Other fun books for practising reading punctuation are Punctuation Takes a Vacation and Yo! Yes? The idea behind Reader's Theatre is that your children read parts in a play as expressively as possible. With no gestures, costumes or props, the only way for them to share their understanding of their character is through intonation and oral expression. They don't need to memorise their lines but should concentrate instead on interpreting the meaning and mood of the lines they are delivering. Practice, of course, makes perfect and so encourage your child to practice many times until they can read their scripts as expressively as possible. Study their lines with them, working through the different strategies for improving reading fluency outlined above. Then, why not put on a performance for others, or video-tape their achievements. Here are some great scripts to use. 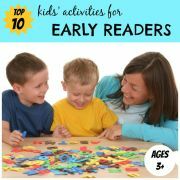 In this activity to improve reading fluency, ask your child to choose a picture book which they know well. Read aloud a page or two of this book to your child to model good reading for them. Then ask your child to read the same pages aloud and record their efforts on a voice recorder. Playback the recording and discuss how it could be improved. Now ask your child to read and tape the entire story. Why not use a bell to signify when to turn the page? They may need to make two or three recordings to get it perfect. Now the new audiobook is all ready for a younger sibling or friend to listen to! 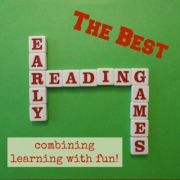 Find out more about how my son got on with the Read & Record reading fluency activity here. Choose six moods and give each a number. For example, you could choose from nervous, confused, frustrated, hopeful, excited, stern, uncertain, confident or angry. Role a dice and then read a passage of text or short picture book in the mood indicated by that number. You could also use props (hats, masks or other dress-up items) to help your child get into the right mood, for example policeman's helmet (stern), old man's wig (confused) or wand (excited).